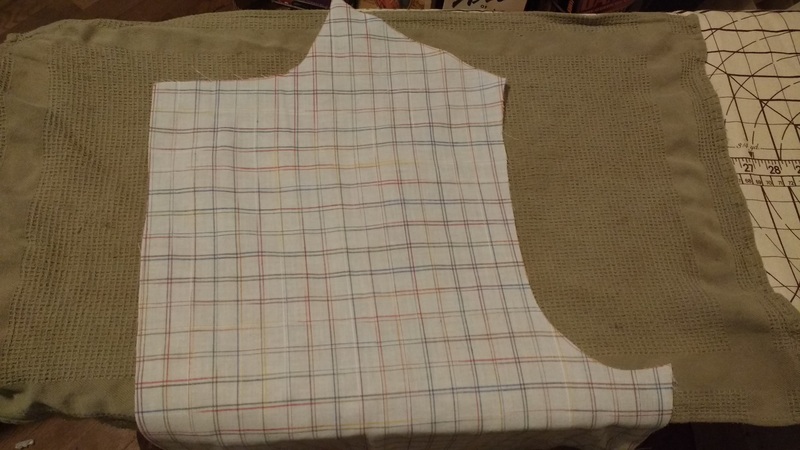 I’m sitting here staring at the cut out pieces of a man’s shirt that are not getting sewn together. Admittedly, it’s been busier than usual on weekends, which is when I generally get my sewing done. But, but, but. I’m also wondering why I sew when, in fact, it’s a hell of a lot easier to just buy clothes. And cheaper, too. I’m not sure if it’s because shirts really aren’t that big a novelty for me or if it’s because I’m still not that good at making them. Probably a bit of both. I do get bored easily and the construction phase isn’t all that interesting anymore. And it is more than a little frustrating when I know how things should look and they just don’t. But I’ll work it out soon. That whole frustration issue is probably why I need to just go ahead and start working on the verdamnt thing. Because getting past stuff is also why I sew. For what it’s worth.